Remember when I wrote about serving the Lord in The Feast through the Media and Events Ministry? Well, here's my first project and I'm very happy at how it turned out. 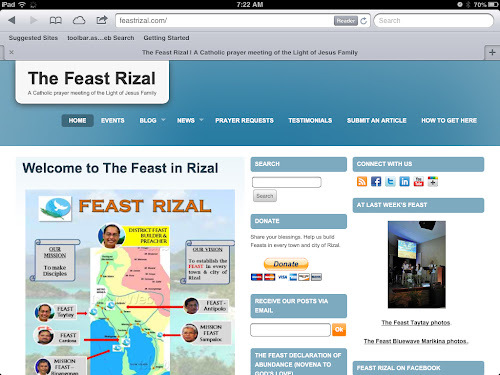 Yes, Feast Rizal now has it's very own dot com! Aside from setting up the site, I also set up our social media accounts on Facebook, Twitter, and Google Plus. Hopefully, we'll gain more followers in the coming days. Our vision is not only to share the latest in the Feasts in our district but also to evangelize and spread God's Word through the Internet. 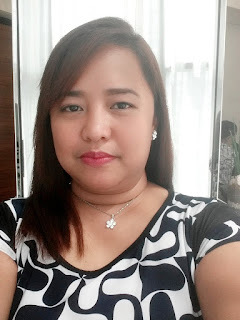 Hope you can take time to visit our site and be inspired. May I also invite you to spend Sunday with us at The Feast. Every Sunday, we hear Holy Mass, worship the Lord through song and dance , and listen to inspiring talks from our Feast Builder. We may not have expensive, premium american made church chairs in our chapel but still we consider The Feast the happiest place on earth!